At Hi-Tech Precious Metals Refinery, we thrive to be a one stop shop for our customers’ precious metals needs. 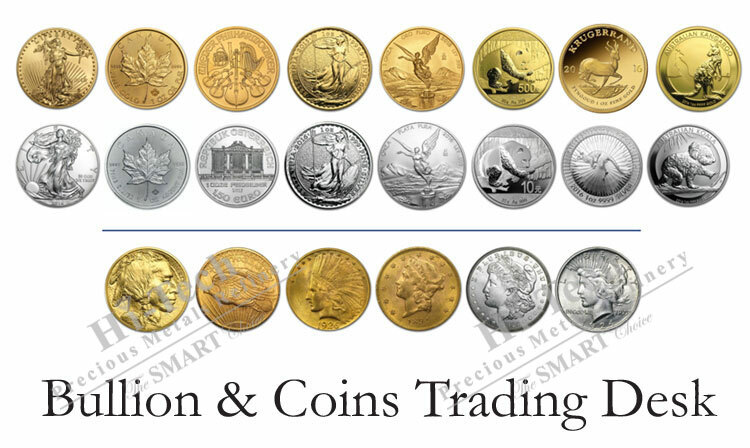 We offer the finest gold, silver, platinum and palladium bullion bars and coins directly from the world’s major mints and leading bullion manufacturers. We consistently stock the most sought after bullion bars and coins products and have them available for same-day delivery. You can rely on us and help you minimize your precious metals inventory by purchasing products for your immediate needs. Elevate your trading experience. Our online Smart Portal has made trading quick and easy. The process of ordering physical precious metals, bullion and coins, with real-time market prices has been simplified with powerful tools.